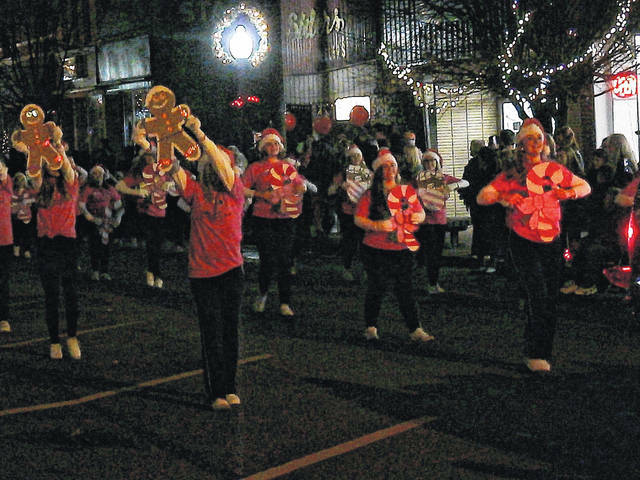 A performance from the Gallia Meigs Performing Arts group in the Point Pleasant Christmas Parade. 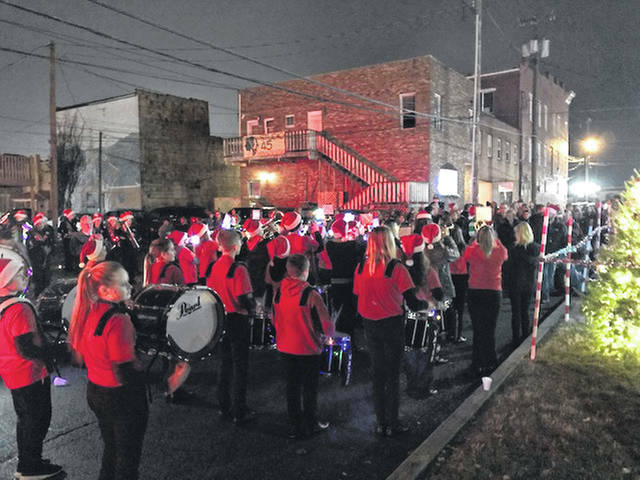 Members of the Point Pleasant Junior High School Band at the Point Pleasant Christmas tree lighting ceremony. 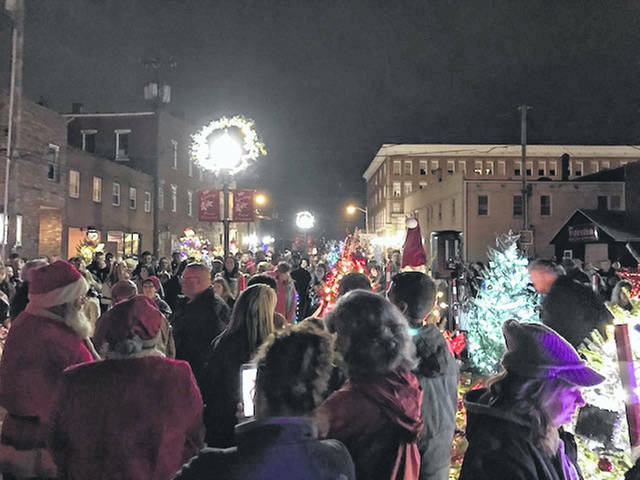 Gunn Park packed with people just prior to the Christmas tree lighting in Point Pleasant. 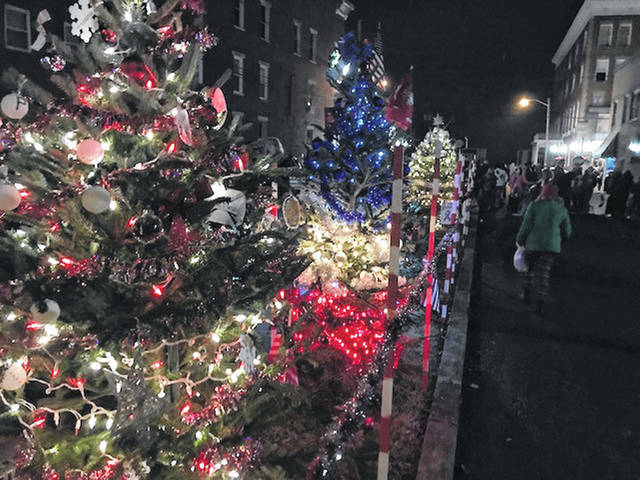 Trees from the Light of Christmas tree project in Gunn Park. 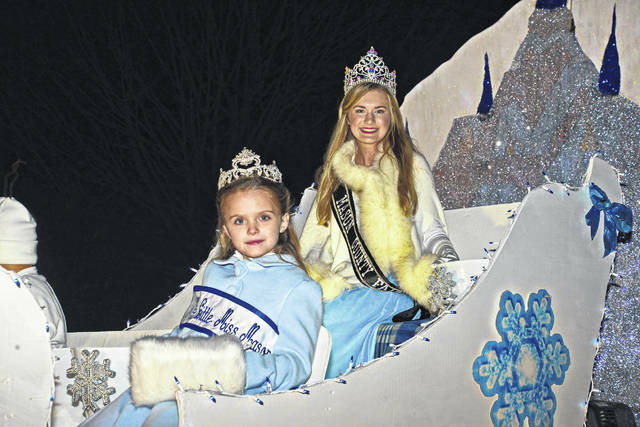 Mason County Fair Queen Kate Henderson and Little Miss Mason County Mary Supple in the Point Pleasant Christmas Parade. The Battle Days Royal Float in the Point Pleasant Christmas Parade. 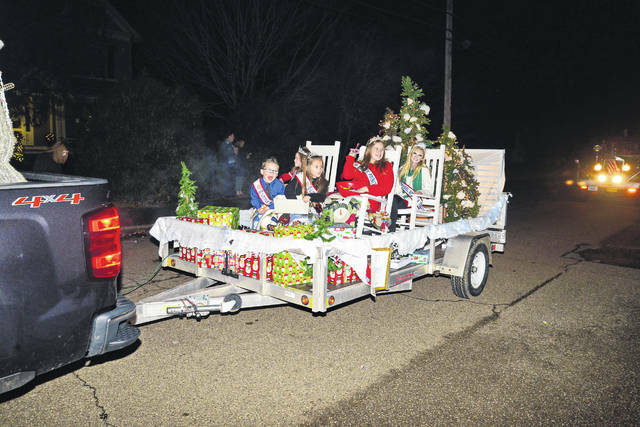 The Grinch rides along with Point Pleasant Sternwheel Regatta Royalty in the Point Pleasant Christmas Parade. 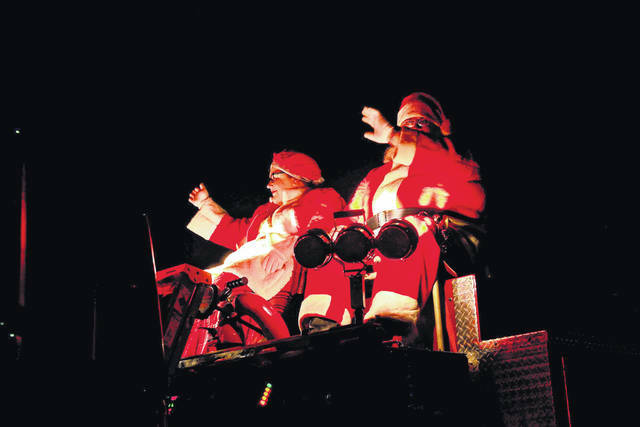 Santa and Mrs. Claus greet parade goers in Point Pleasant. 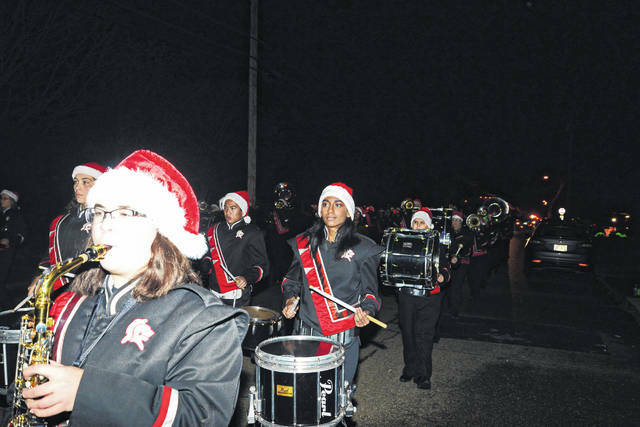 Members of the Point Pleasant High School Black Knight Band get festive in the Point Pleasant Christmas Parade.